If you do not have a permanent address, how can you apply? To apply for Universal Credit (UC), you usually need to provide key bits of information such as your postcode. However, if you are homeless how can you apply for Universal Credit? Typically UC applications are made online, but if you are homeless you will need to go into your local jobcentre to make a claim. In the jobcentre, you will get support to complete the online form. You will need to use the jobcentre address or a hostel address as your ‘care of’ address. A work coach may also help you set up an email account. You will then need to use the jobcentre phone to book an ‘Initial Evidence Interview’. At this interview, you will get help to prove your identity and set up a bank account. You will then need to attend a ‘New Claim Interview’. Here you will agree a ‘Claimant Commitment’. An ‘easement’ may be applied to your commitments so you do not have to look for work straight away and you can instead focus on finding accommodation. If you need financial assistance immediately, you can claim a UC advance. You will pay this back through future deductions from your entitlement. Your work coach may also refer you to your local authority for housing support. Additionally they might set up arrangements so you can receive UC payments weekly instead of monthly. Once your housing situation is sorted, you will need to add your rental information to your claim. You can also arrange your rent to be paid straight to your landlord. From here on, you will be expected to start looking or preparing for work. If you are homeless and need support, you can get help claiming benefits from some day centres. 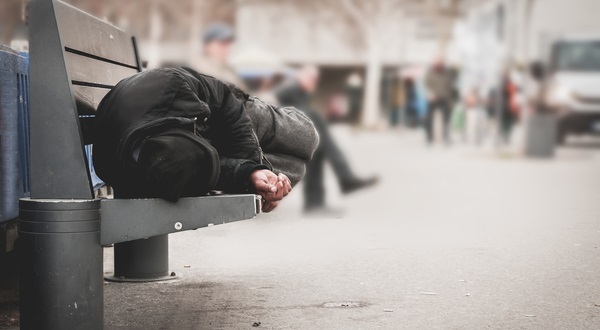 Use Homeless Link's directory to find a homeless day centre near you. Next Are the Government fixing Universal Credit?